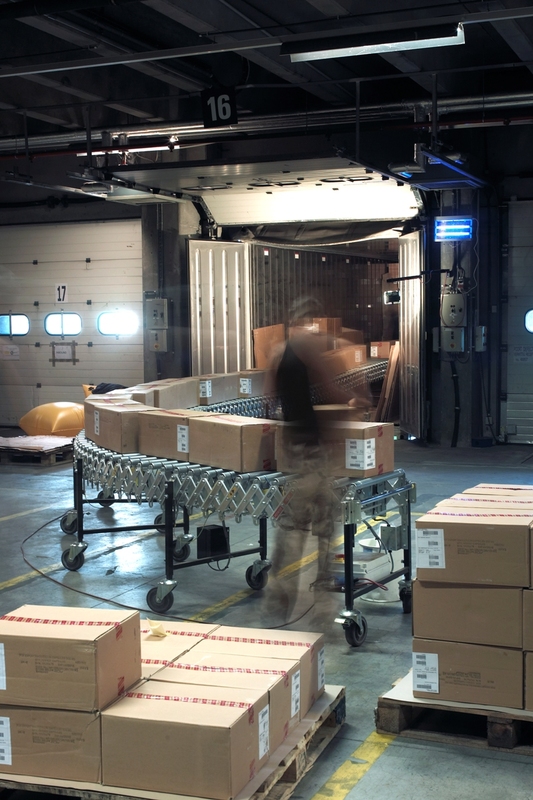 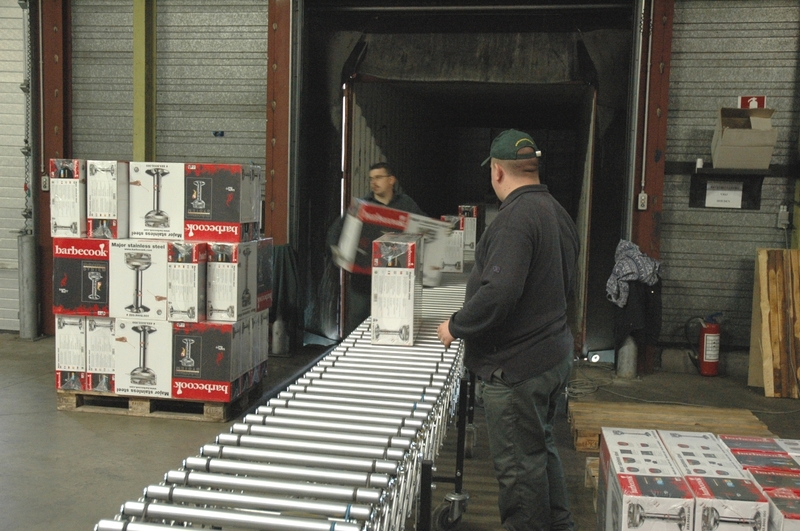 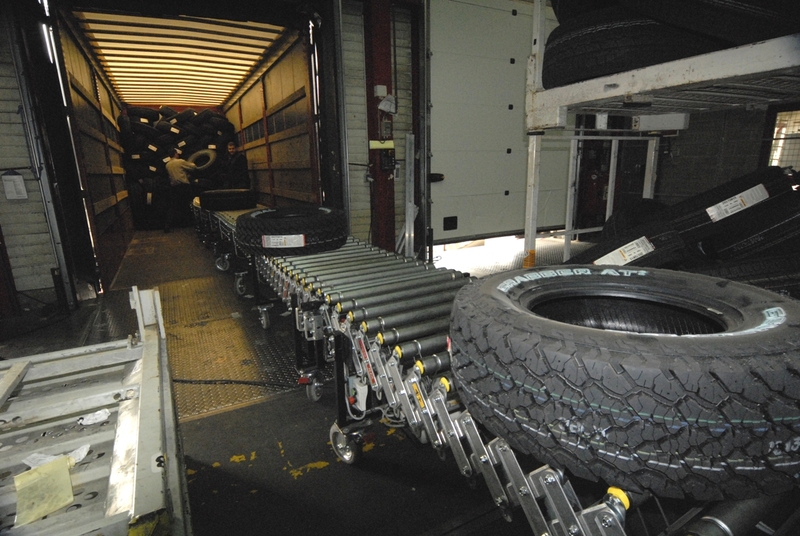 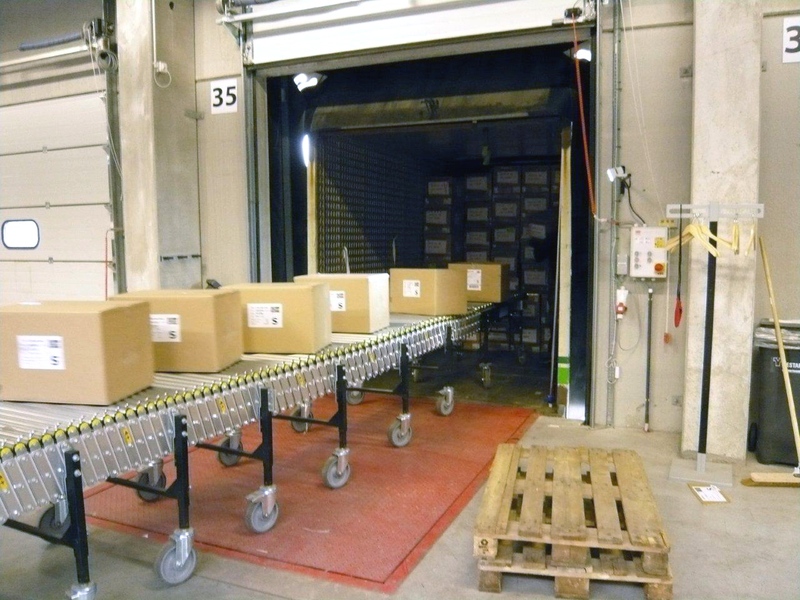 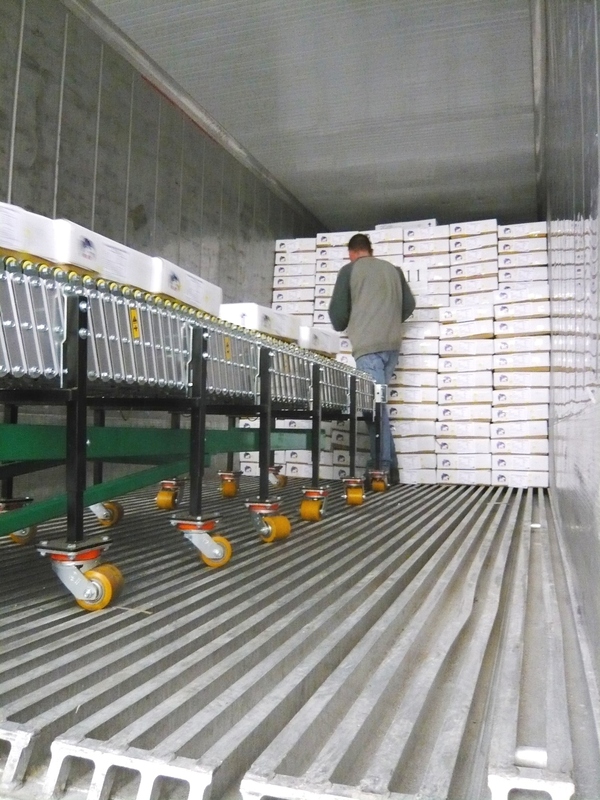 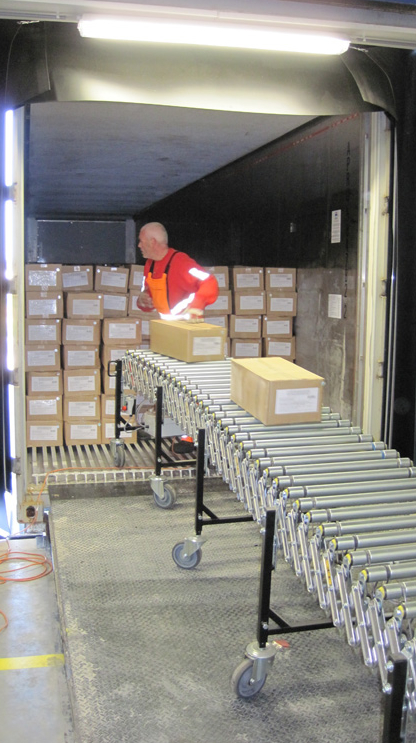 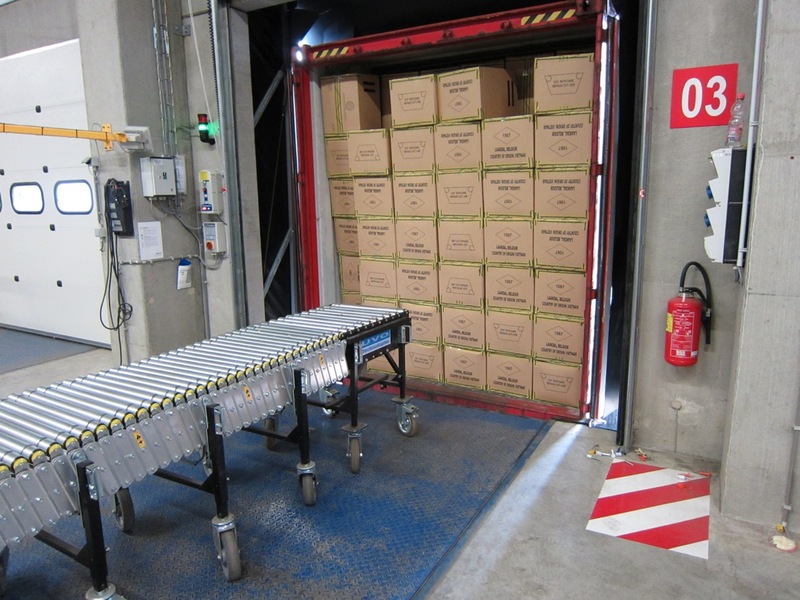 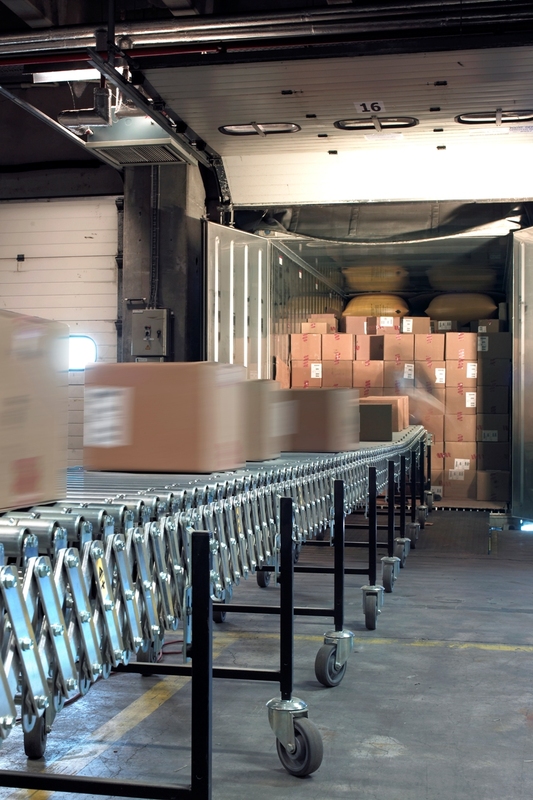 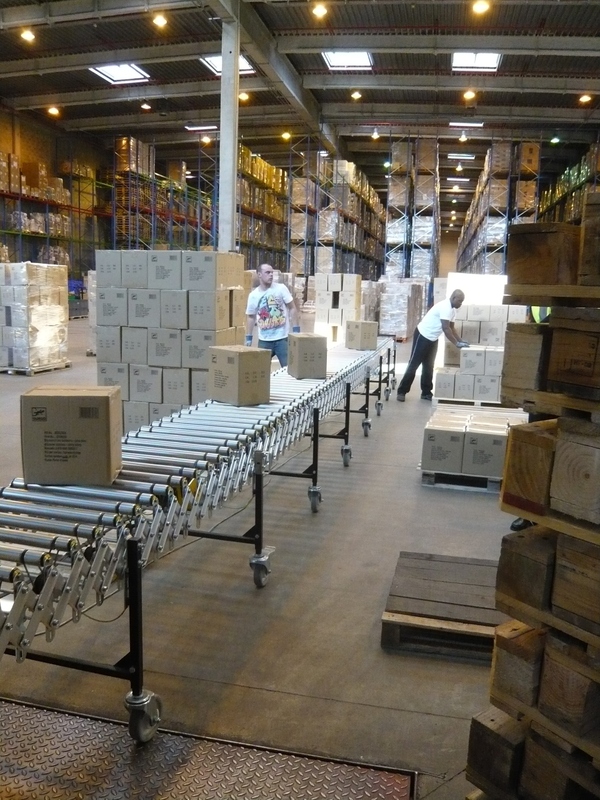 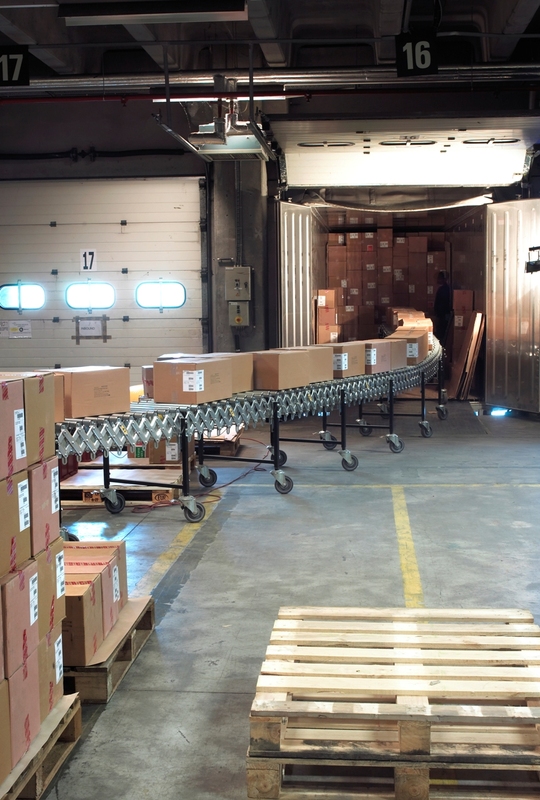 Move easily in and out of trucks for faster, safer, ergonomic loading and unloading. 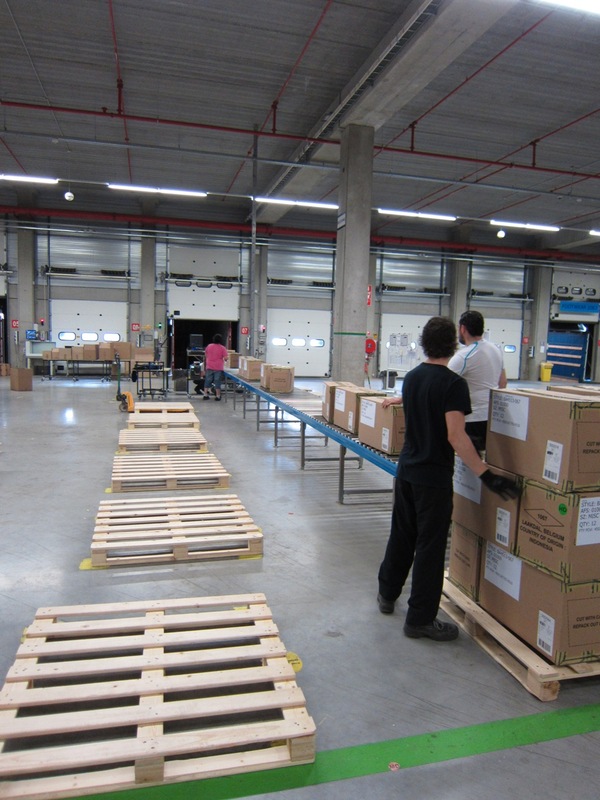 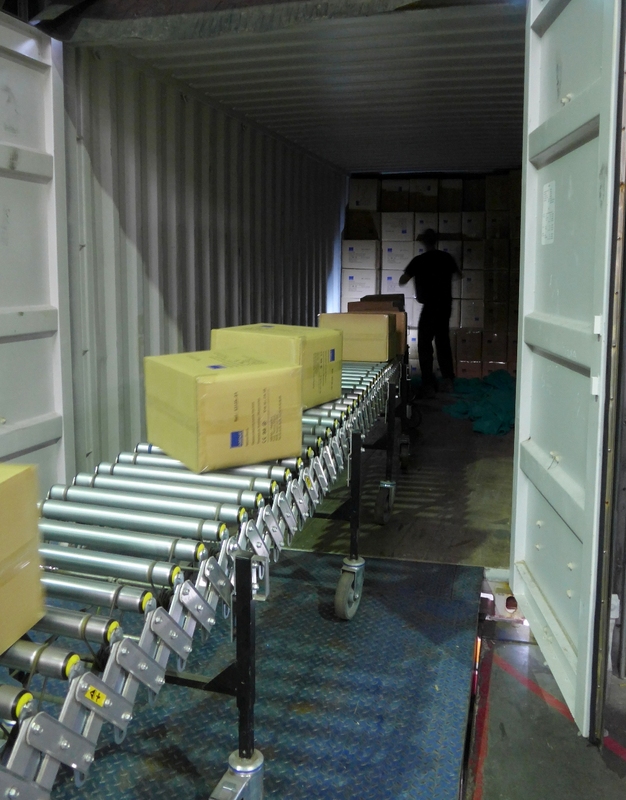 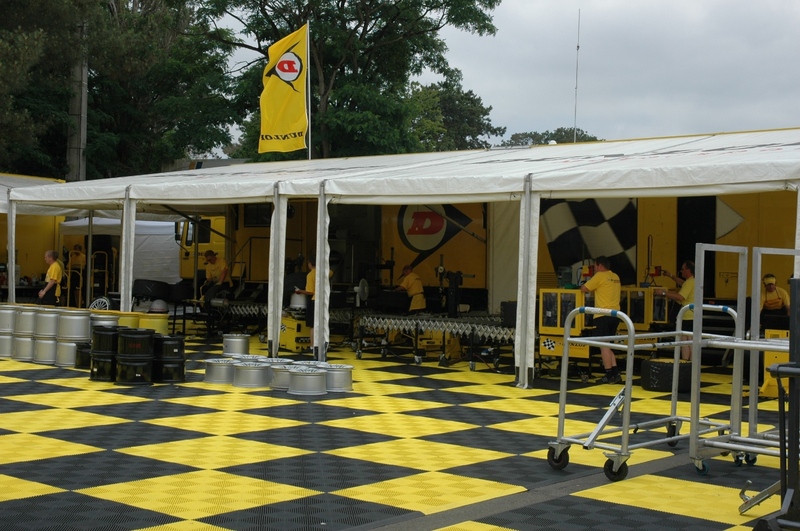 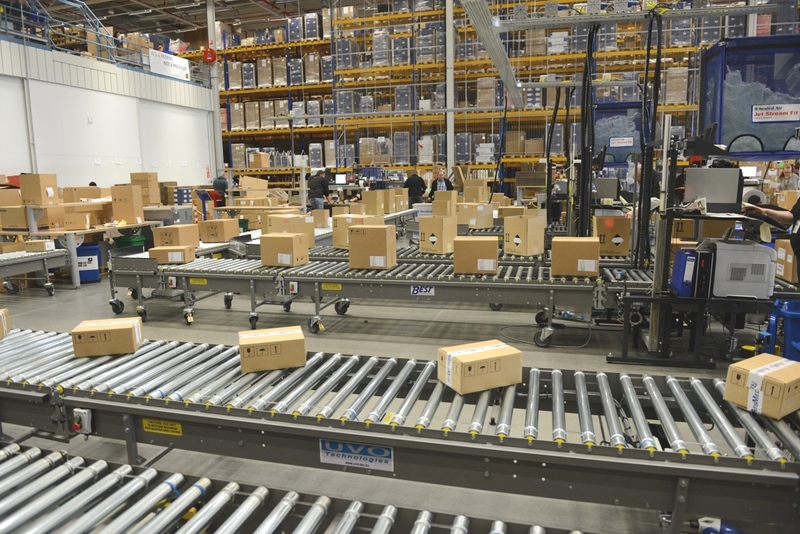 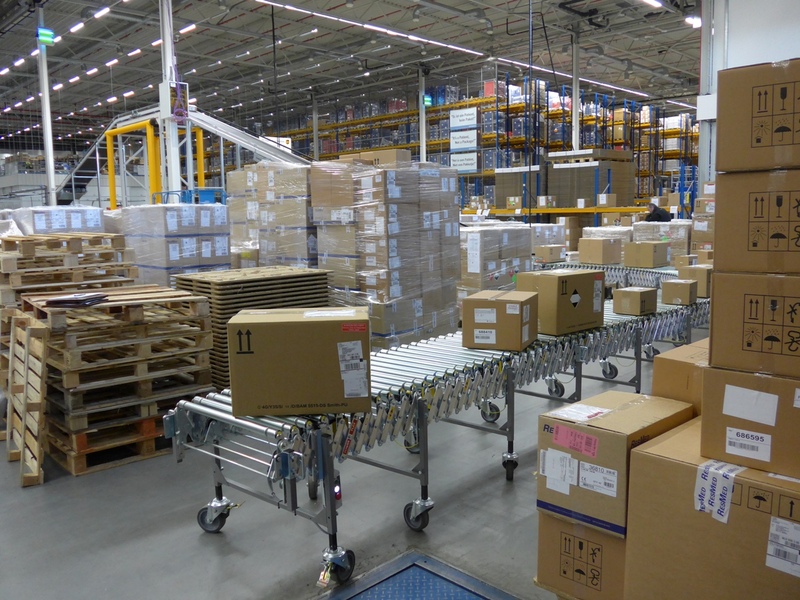 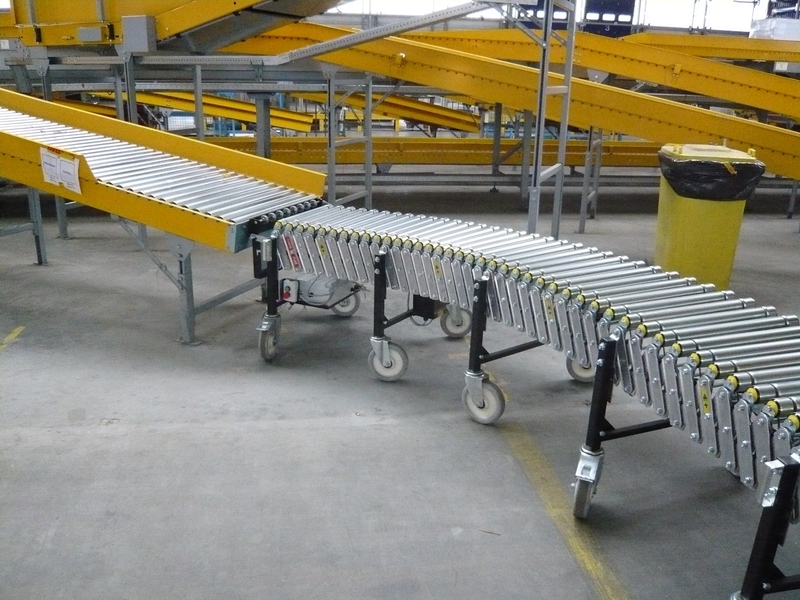 Ideally Suited for truck loading, distribution centres, packaging, mobile assembly lines, shipping and receiving. 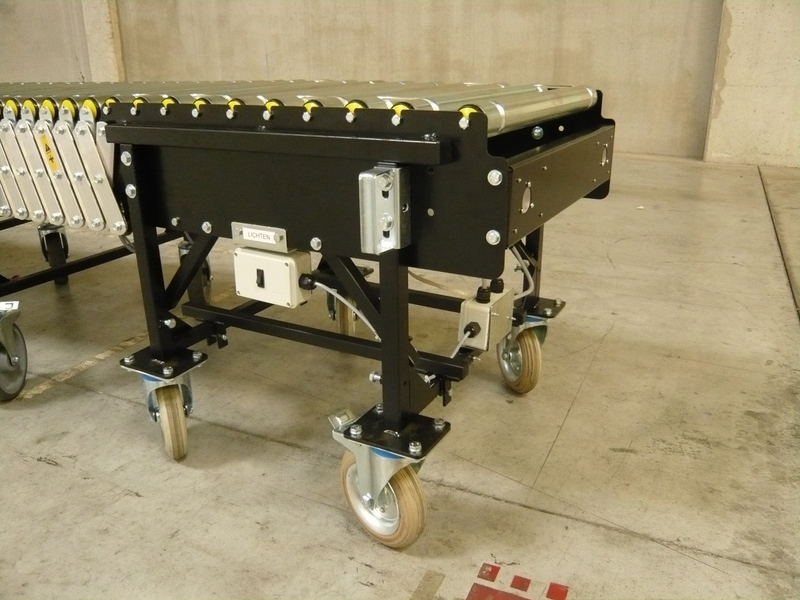 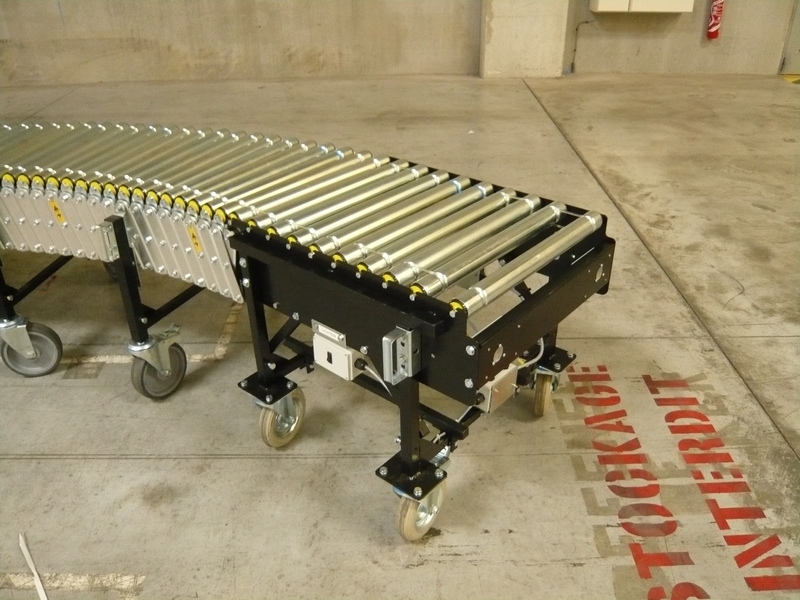 For the unloading process of your material handling applications we provide a reinforced, non-flexible impact section table with LED-lights. 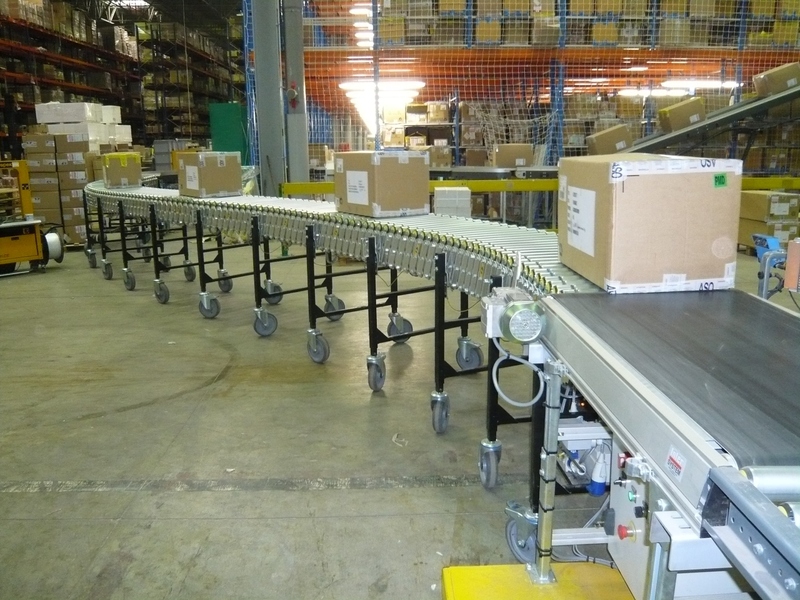 As for certain type of applications a pressureless accumulation system might be of great use. 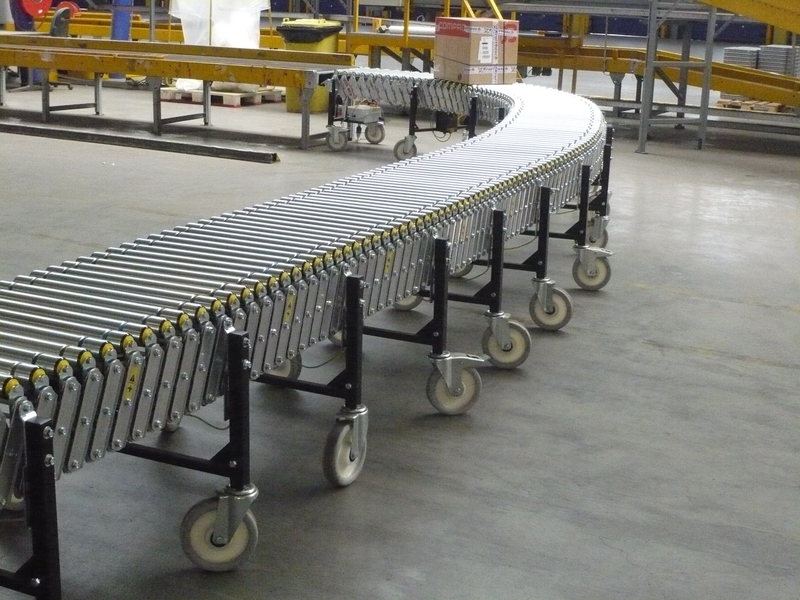 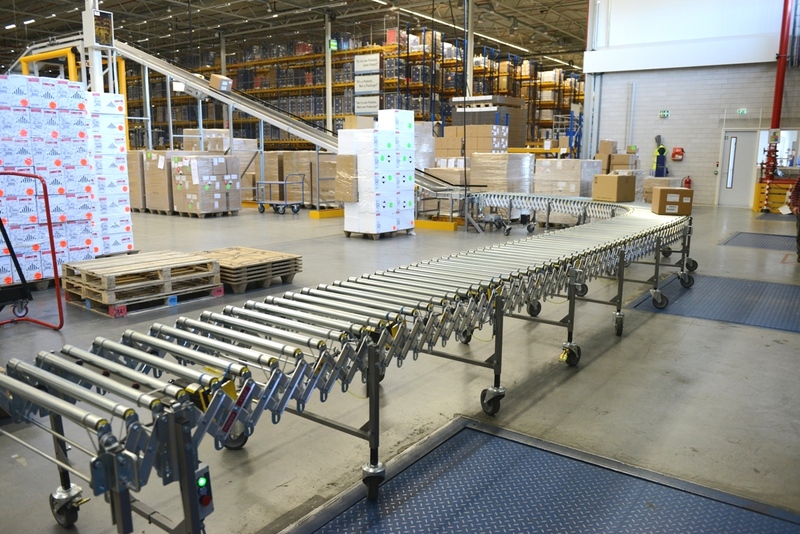 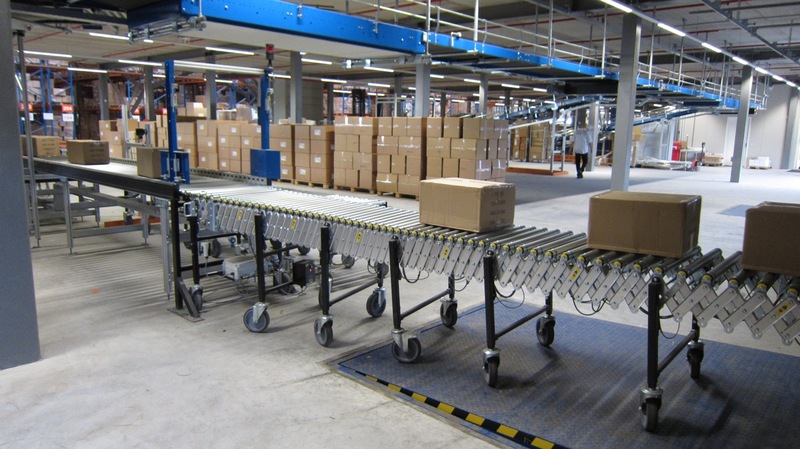 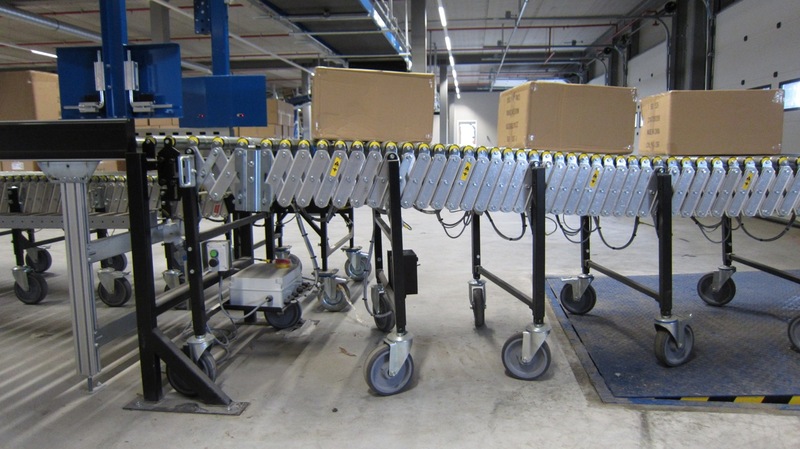 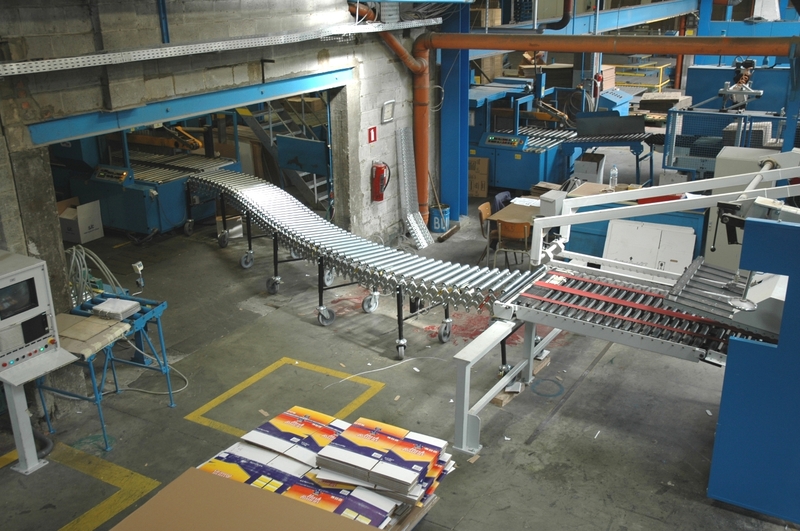 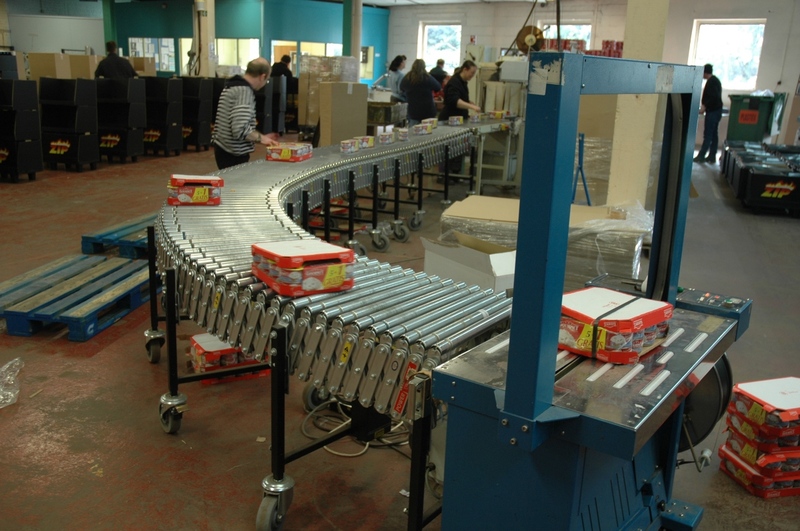 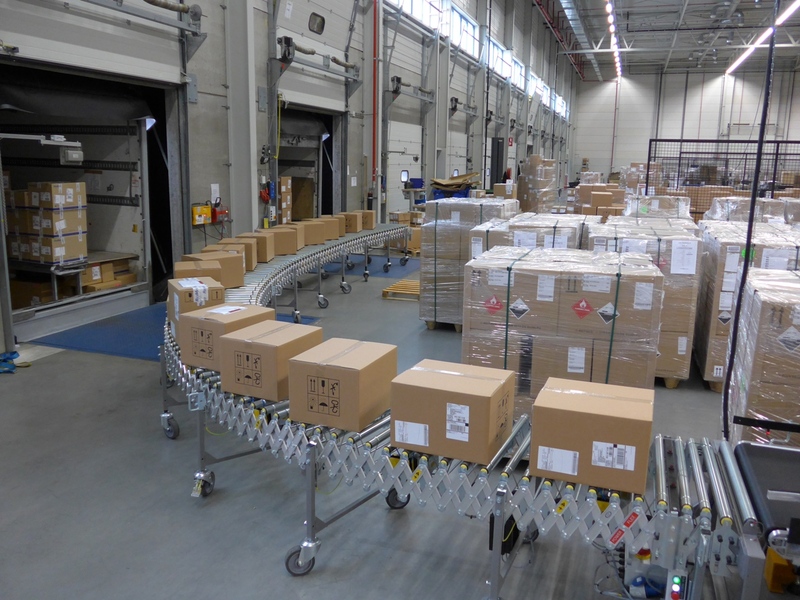 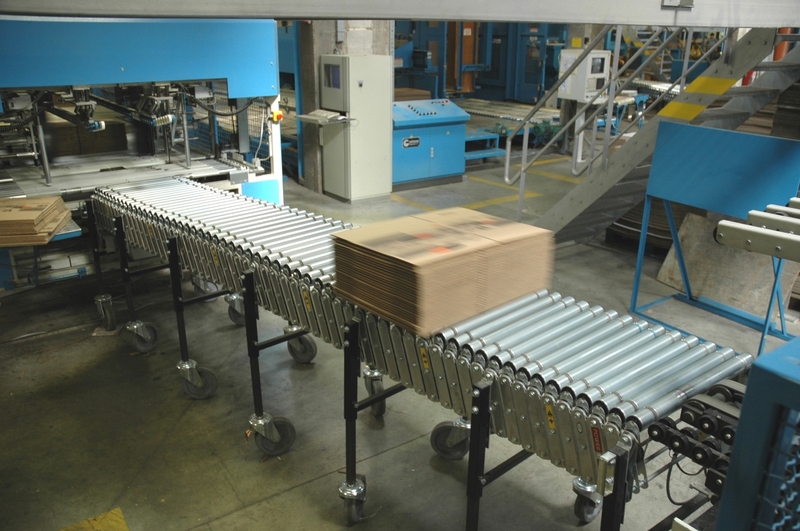 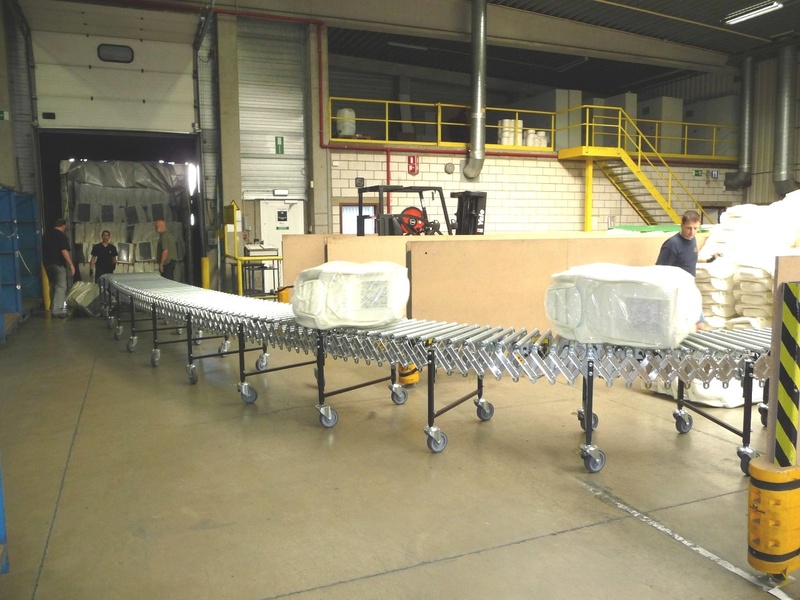 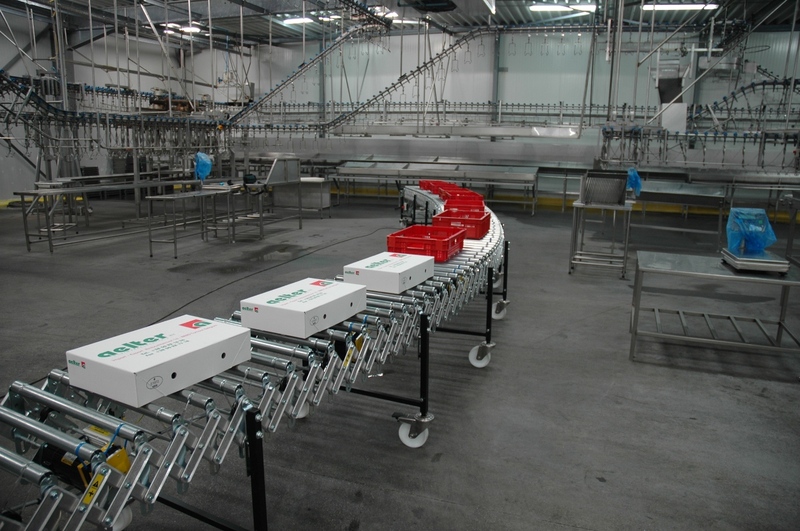 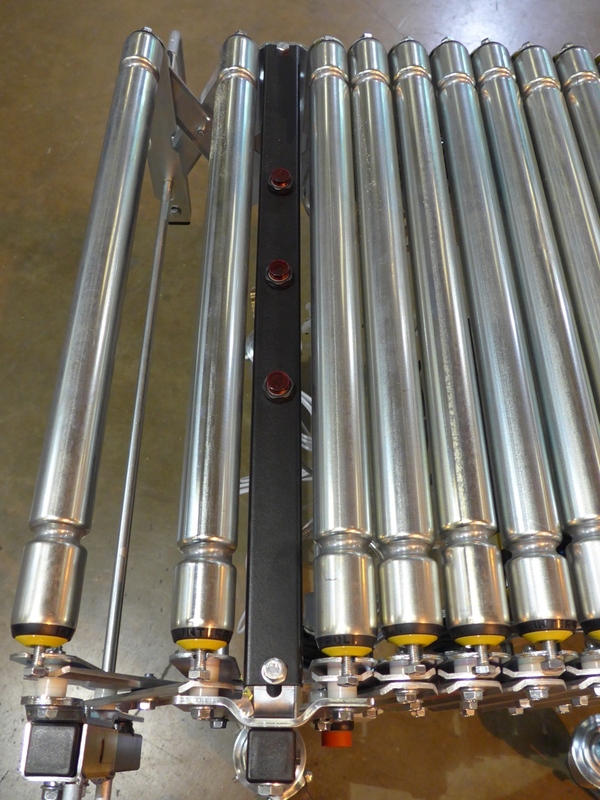 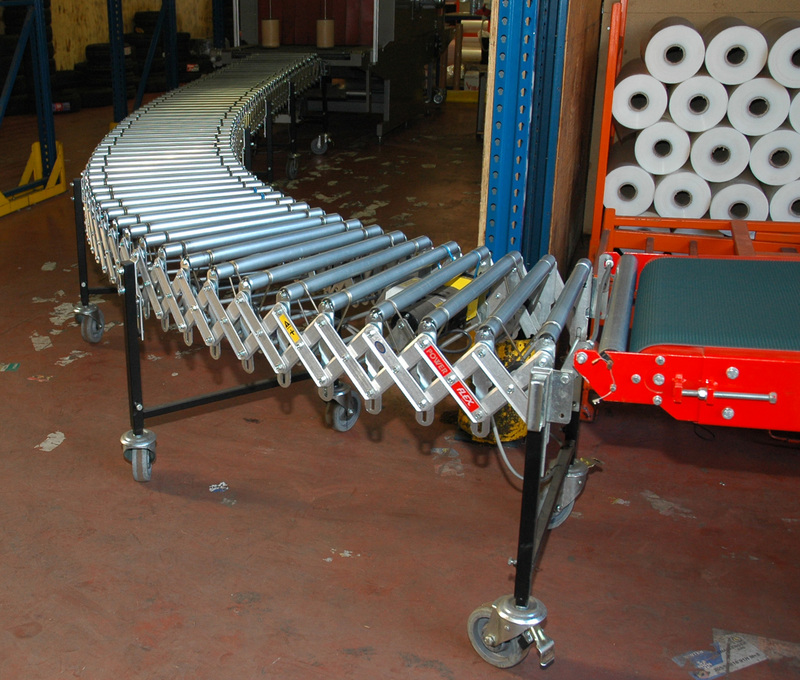 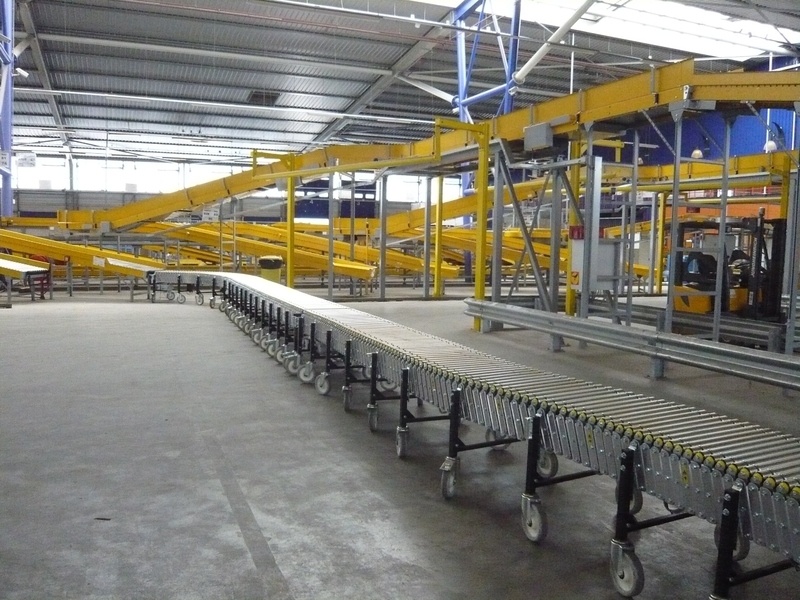 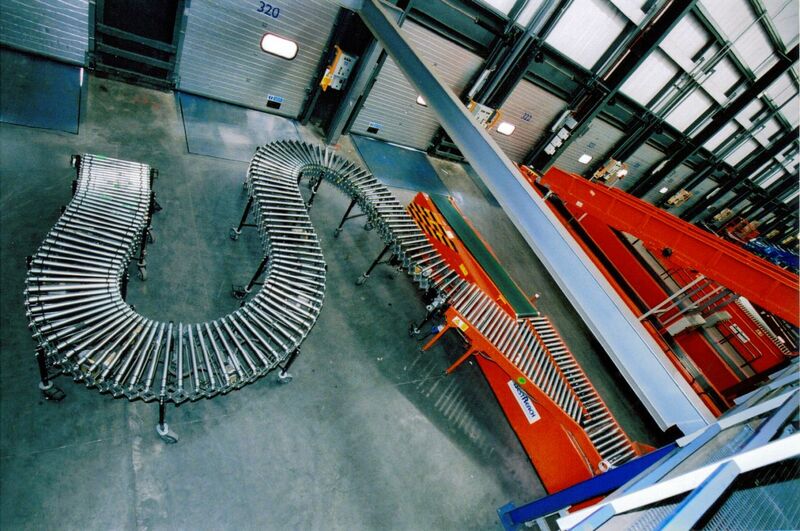 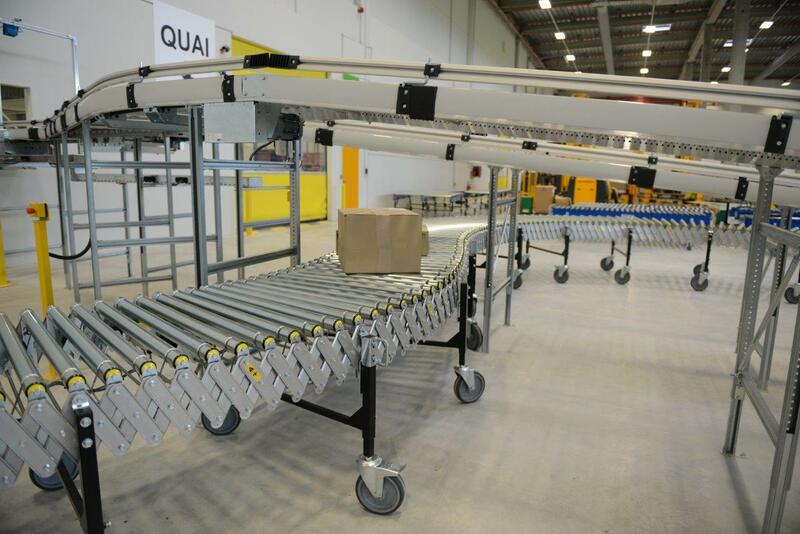 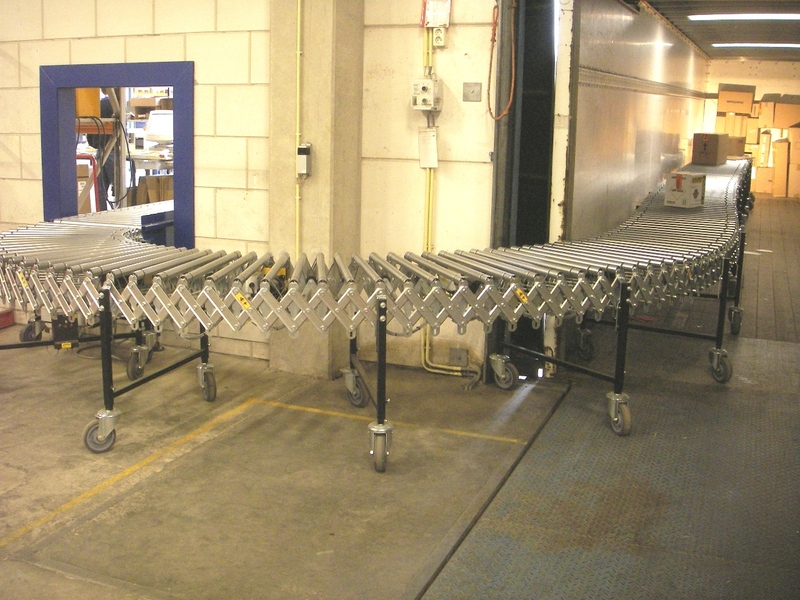 We provide the possibility to divide the conveyor in zones, different zone lengths possible, on a partial or total length of the flexible or rigid conveyor system. 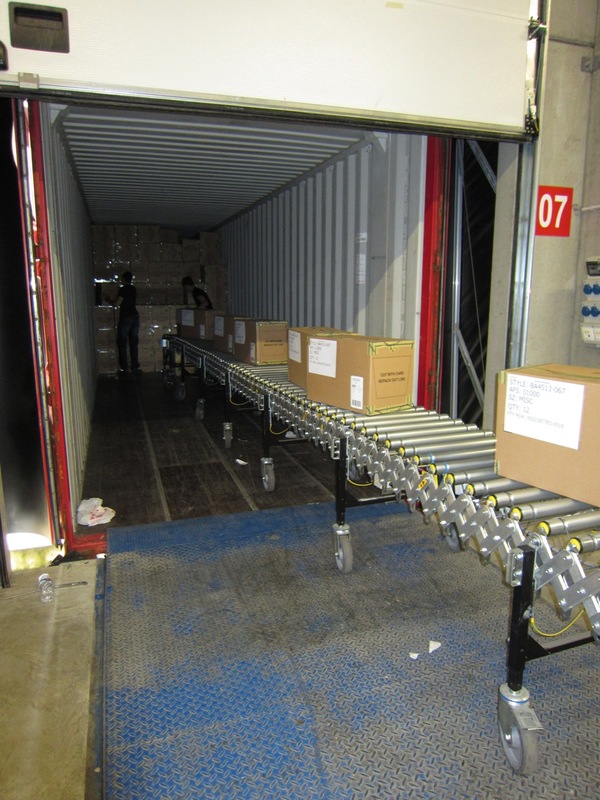 As for loading or unloading applications the users may benefit from an indexing system that can manually be activated and de-activated. 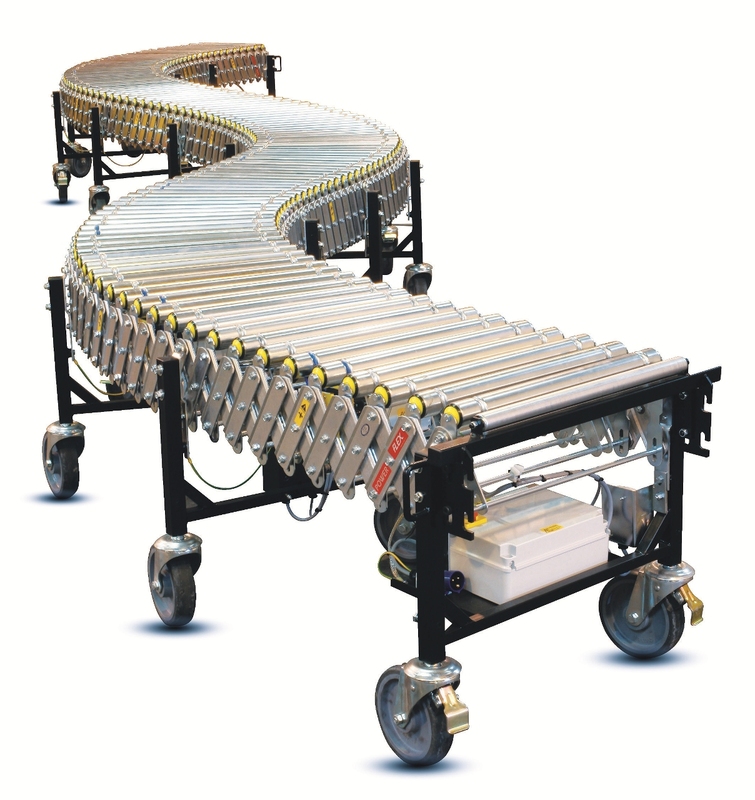 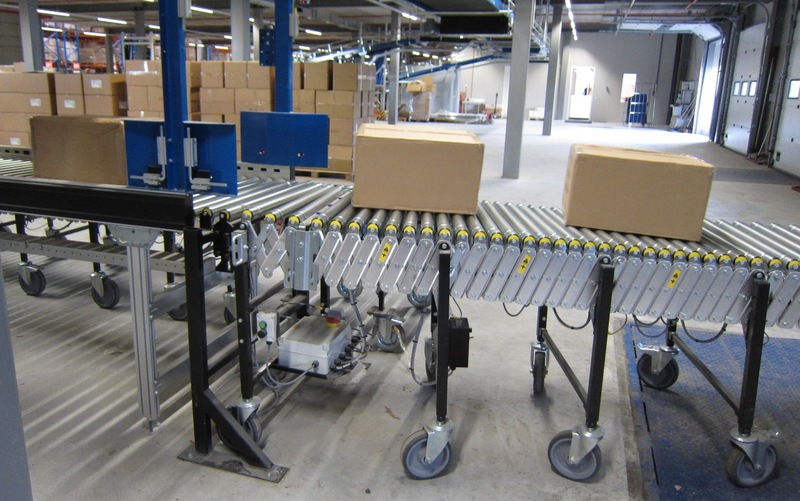 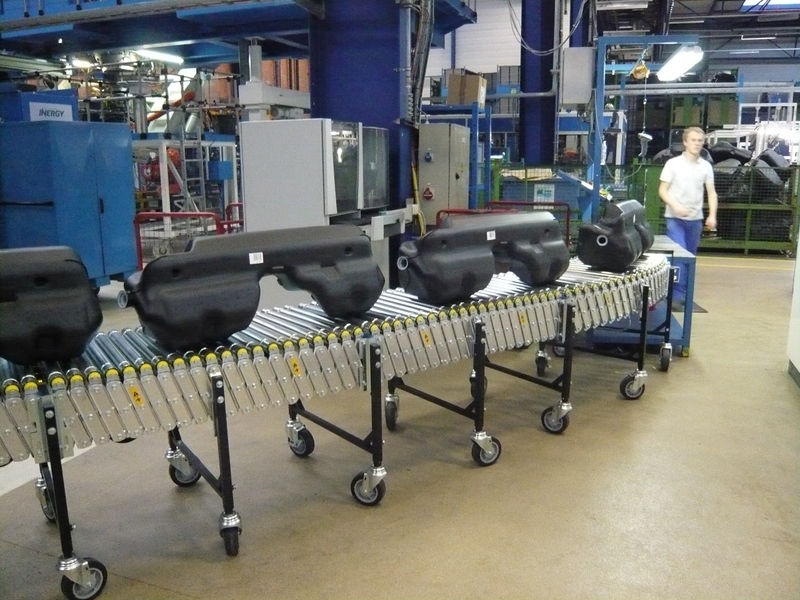 At the end of the motorized flexible conveyor we install in most applications an electrical end-stop for the handling product not to drop and give the operator an optimal user friendly working condition.